Turn Key Custom Homes, Inc.
We are the family home building team, We work with integrity, Put Quality over Quantity, and Take pride in satisfied customers. 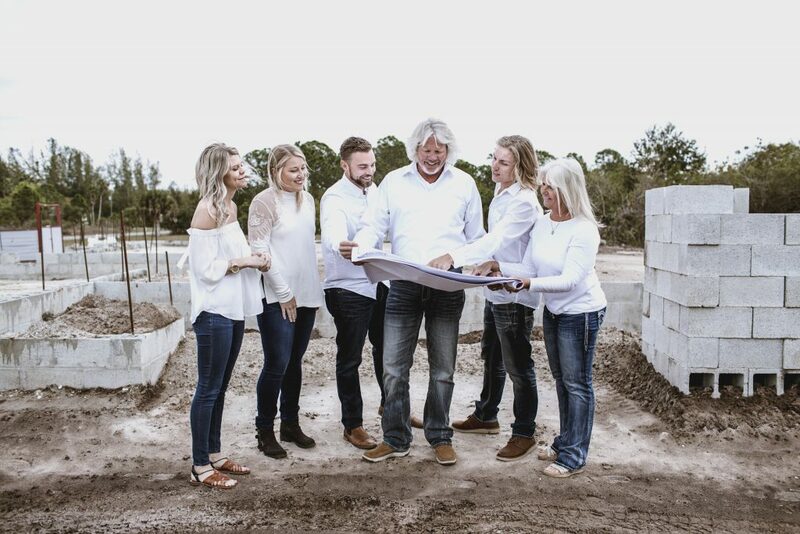 Let our family build your family the custom home of your dreams. As the owner and founder of Turn Key Custom Homes, Inc., I believe it is important for you to know who I am, what I stand for, and why my company is your best choice to build your dream home. After high school, I began my training with a Master Builder. I was trained in framing, custom trim work, drywall, installation of doors and windows and siding. I also attended an apprentice program as part of my on the job training at night after work. I became a Master Carpenter and proficient in all phases of the building process, from starter homes to high end executive homes. At 24, I was starting my own construction business. I tell you this so you can be assured I am not a “fly by night” builder. I have been building quality homes and dreams for over 35 years. I am on site with your home and over seeing all of my sub contractors EVERY day and every step of the way. I am humbled in having the ability to choose the best sub contractors to achieve the quality results that I expect. I appreciate the opportunity to meet you in person and look forward to building your dream home.